Wow! I just realized that Mom hasn’t let me blog in about a week! Normally I would be upset, but this time she had a good reason. 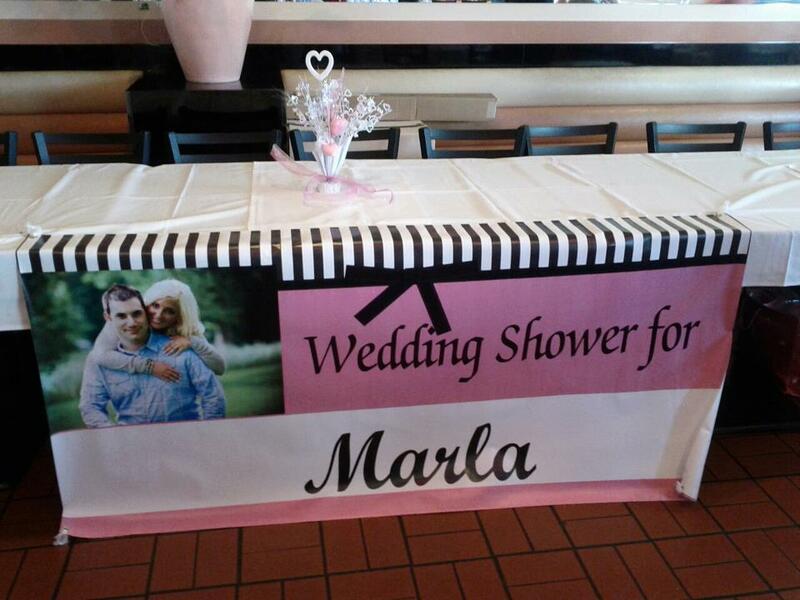 You see, Mom had been quite busy planning a wedding shower for Marla, my human “bonus” sister! Why do I call Marla a “bonus” sister? Well, Mom has no children of her own, but when she married Dad he came with his own puppies! Yep! He sure did! So since Mom doesn’t like the word “step” for stepchildren, Mom stole a term from a friend who also calls her stepchildren BONUS children! Why? Because they ARE! 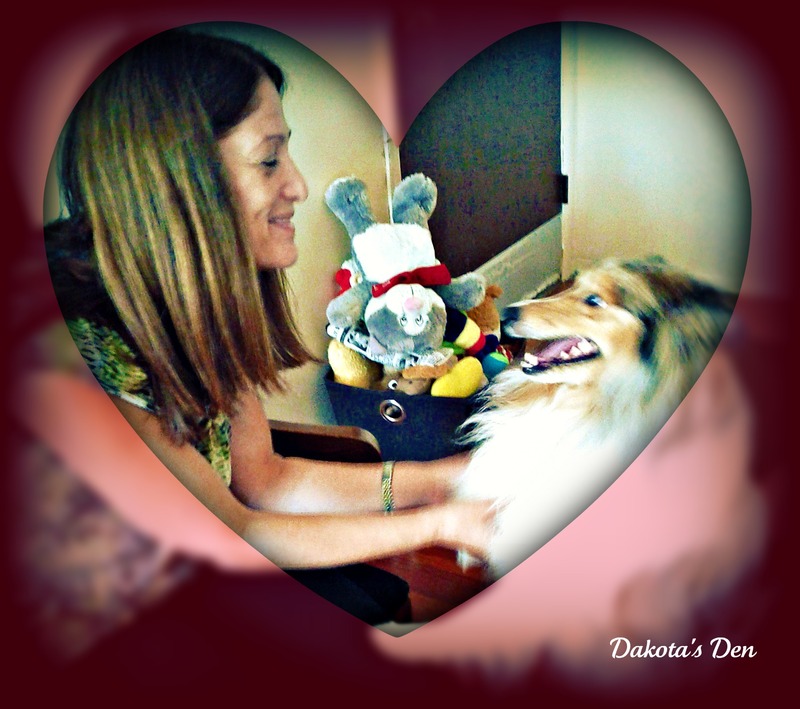 Marla is also quite special because it was she who first heard about me and told my Mom and Dad, because she knew they wanted a Sheltie. If it hadn’t been for Marla, I wouldn’t be living with my Mom and Dad! 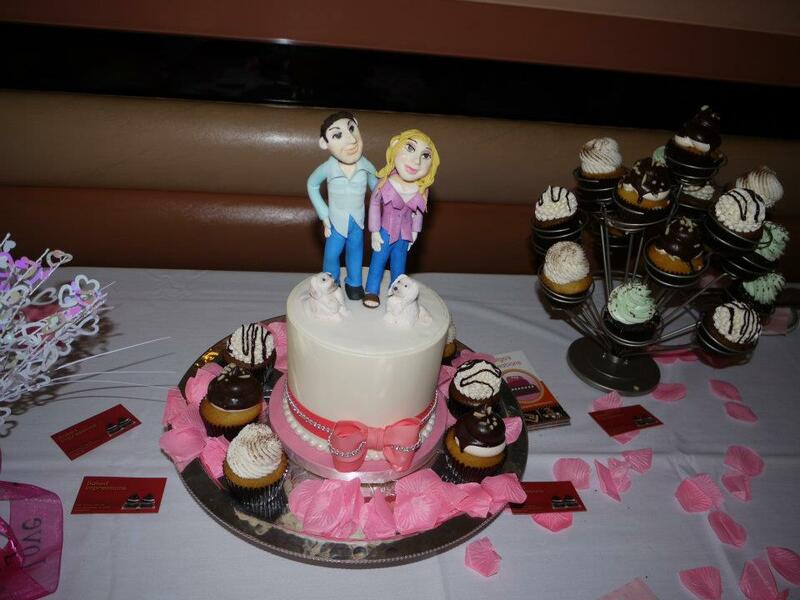 The FANTASTIC cake and delicious cupcakes came from http://www.bakedimpressions.com/ See the puppies on the cake? Those are Marla's doggies! 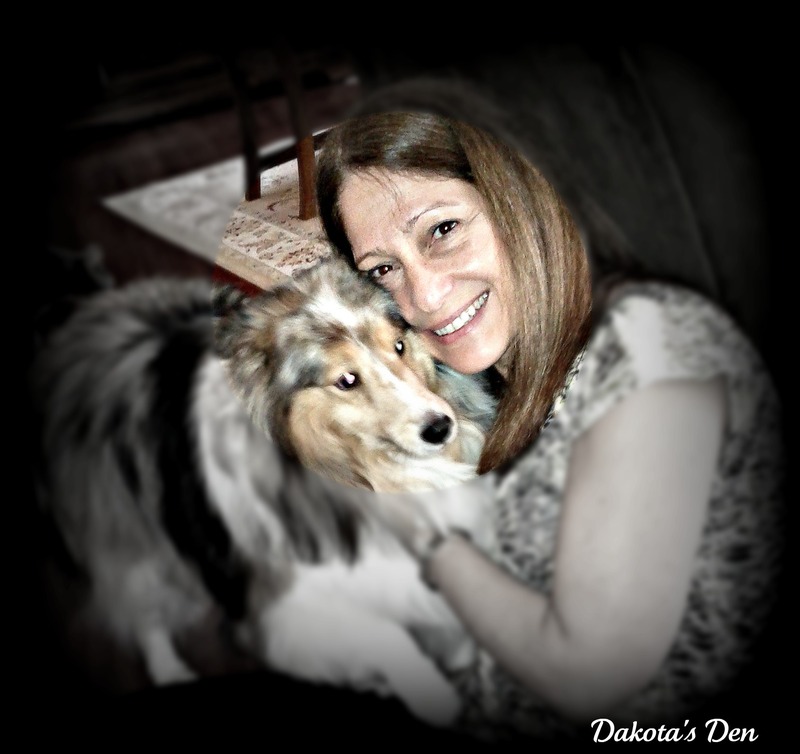 Here is Mom and a photo of my gorgeous “bonus” sister Marla. She will be married this June! What was I doing part of the weekend? Well, you know how much I love my Aunt Nancy who lives in Florida? You have heard me talk about her before. Aunt Nancy came to Michigan for the shower and I did my best to impress her! I think I impressed her, don’t you? Mom said to tell you she is sorry if she hasn’t visited you as often lately. Because of the shower she just hasn’t been able to come around and visit as much as she would like to. She hopes she will be able to catch up soon!! I like Marla because of her, I got to know you! Oh, Marla is gorgeous and I like the beautiful picture of your mom and her. It’s so sweet!!! You sure impressed your Aunt Nancy a lot, I’m sure she loves you too. I hope she didn’t try to smuggle you back with her to Florida. Did you manage to get to taste a bit of those big and small cakes, they look so scrumptious! I hope you did and I hope you did try it for me too! By the way, congratulations to Marla and her man!!! Awww Eva!! That is true! Without Marla I NEVER would have met all of you!!! That is sooo true! Thank you for your kind words about the photo! My mom appreciates it! Nope Aunt Nancy didn’t try and smuggle me back because I am so loud!!! BOL!! Also she has two other doggies!! I didn’t get to taste any cake but rest assured that MOM (who has no business eating them) sure did! Thank you for the congrats to Marla too! Awww what lovely pictures. Bonus Sister – I like that term. M said she never liked “step” children either. Sounds like a lovely shower. – oh – why do they call it a shower? Isn’t a “shower” what the oomns step into in the morning after they had their nap? The “shower” was lovely! I agree with you, why DO they call it a “shower?” Maybe cause you are “showered” with gifts? WHat lovely photos! Congratulations to Bonus Sister! Lucky Marla! Looks like your Momma put on a great shower! And I think you really did impress your Aunt Nancy! Hi Bassetmomma!! The shower was great, mom and another lady did most of the details and there were others who contributed towards the venue and gift. It was great! Awww, I always impress Aunt Nancy! I love the term bonus. What a wonderful shower. I can’t imagine how anyone could not be impressed with you. From what I hear the shower was super nice! I don’t know since I am a doggie and wasn’t permitted to attend BOL! Well, I agree about everyone being impressed with me but trust me there are PLENTY of times that mom isn’t quite as “impressed”…those times usually involve LOTS AND LOTS of BARKING!!! Wow, so cool! Rama has “bonus” siblings, too! They are fun! And I would say you definitely impressed your Aunt Nancy! Thank you!! That is so great that Rama has “bonus” siblings! I think more of us do than we could imagine!! Yeah…I am pretty sure I impressed Aunt Nancy BOL!! That looks like great time, I love the term Bonus too. I have a couple of those. mary yet ANOTHER thing that you and I have in common!!! She sure is!! BOL!! She loves me so much she can’t stand it BOL!! Mom says THANK YOU SOOOOOOOO MUCH! You have a fun day too my friend. I know you made TONS of people smile today at therapy! Glad you gots to see your Aunt and hopes the shower was fun for everyone. Baby Patches!! Wow!! Now THERE is a “blast from the past! !” BOL!!! How in the heck have you been? Haven’t seen you around either blog in ages!! Hope things ease up for your Momma soon!!!!! Hai Dakota!! MOL I has been wonderfur! It has been a challenge to keeps up with commenting let alone blogging. We has to gets you something new to test out for us huh. But momma saw your post on FB this morning and we wanted to visits! I hopes momma can get on a regular schedule soon too. Hi Aunt Nancy!!!! I am spinning as we speak!!! Ohhhh I miss you Aunt Nancy!!!! Please tell my cousins Max and Molly that I want to meet them one day. They are lucky to have a Mom like you! 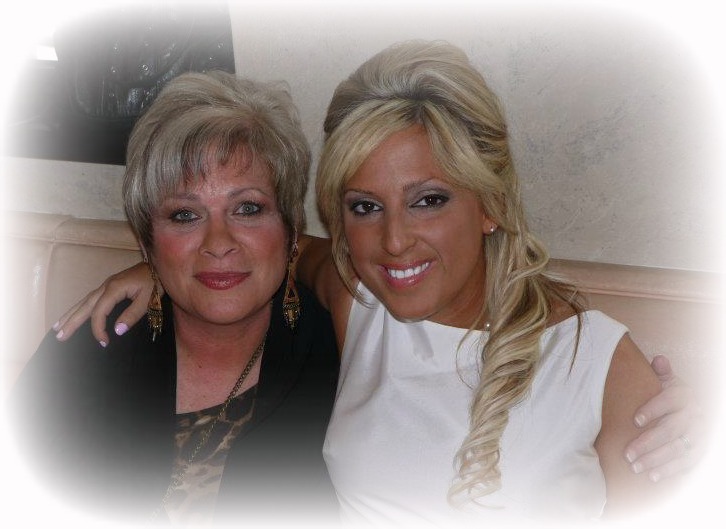 Love you Aunt Nancy and please send my love to my cousin Angela! Mom said she has to email her soon! We know what it is like to get busy with family. And you do need to step back and what a wonderful party to step back for! We have a daughter getting married in October so I know I will be gone for a bit when the time draws closer. Thank you for visiting my blog too! I love to reply back but I email via the blogger mail to me. Yours popped up as a “no-reply”. I bet your comment went through…there is some kind of glitch with that blog where it says it didn’t go through but it really does. Baby Patches heck yeah I would love to test something else for you! Keep me in mind! It is so good to see you!! Awwwww great pics and great job Mama!! Dakota your auntie is sooo lucky to give you huggies…have Mom give you one from me..you look so cute!! Mom did give me a hug from you! Lovely pictures, all! And don’t your mom and “Bonus” sister look lovely together. Congratulations to all. I’ve never thought myself a big fan of cupcakes but I’m pretty sure I’d not have been able to keep my hands off that spread. Wow. Hi Leslie and thank you!!! You know what? Mom said she normally doesn’t love cupcakes either but these were flavors like Grasshopper, Tiramisu, etc…how could you not like them?